I like food that you have to work a little at to get to. Crab, artichoke and my personal favorite, pomegranate, are examples of foods that require a little extra effort on your part to get at the delectable interior. Pomegranates are not only delicious but are getting bonus points for their high levels of antioxidants, leading many to try their hands at pomegranate growing. If this includes you, let’s look at caring for pomegranate plants with an emphasis on indoor pomegranate trees in containers. Pomegranates (Punica granatum) are steeped in history and have been grown for thousands of years through the Mediterranean regions of Asia, Africa and Europe. Native from Iran to the northern Himalayas, the fruit eventually traveled to Egypt, China, Afghanistan, Pakistan, Bangladesh, Iran, Iraq, India, Burma and Saudi Arabia. It was introduced to the Americas in the 1500s by Spanish missionaries. A member of the Lythraceae family, pomegranate fruit has a smooth, leathery, red to pink skin surrounding the edible arils. These arils are the edible part of the fruit and are its seeds surrounded by sweet, juicy pulp. 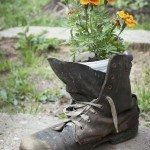 The seeds can also be used for planting. 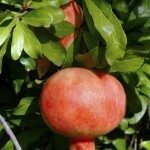 Pomegranate trees are grown not only for their juicy, tempting fruit, but also make attractive ornamental specimens with orange-red blossoms prior to fruiting, set off upon glossy, deciduous green leaves. Trees usually have thorns, and are grown as a bushy shrub. 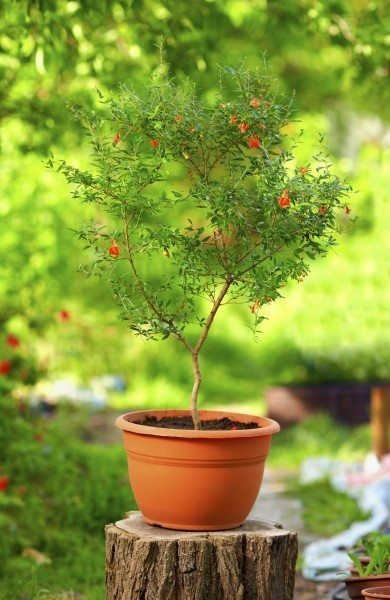 That being said, pomegranates can be trained as a small tree ideal when growing a pomegranate in a pot. Pomegranates thrive in areas of warm, arid conditions. While not all of us reside in such climactic regions, the good news is that growing a pomegranate in a pot is entirely possible. Pomegranate trees in containers can either be grown indoors given sufficient arid provisions or outdoors during part of the year and moved indoors if cold snaps are imminent. Pomegranates are self-pollinating, so you only need one to set fruit. They are relatively hardy and will bear fruit within the second year. For outdoor or indoor pomegranate trees grown in containers, you will need around a 10-gallon container one-quarter full of potting soil. Set the root ball into the container and begin to fill in around the roots with the soil to the top of the container but not covering the trunk. Water the new tree in well and lightly tamp the soil down to eliminate any air pockets. Water the tree deeply about once a week, possibly more often during peak summer months. Fertilize the tree with half cup of 10-10-10. Spread the fertilizer atop the soil and two inches away from the trunk. Water the food into the soil. During the first two years of the tree’s growth, feed in November, February, and May, and thereafter fertilize only in November and February. Follow the above tips, and within two years, you’ll have delicious pomegranate fruit of your own that last as long as apples (up to seven months!) in cool, dry conditions.